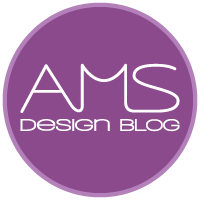 AMS Design Blog - AMS Design Blog is your source of design inspiration with a twist. It’s curated by Anneke Short, the co-founder of AMS Design Studio, an award-winning product design studio specialising in watch, jewellery and homeware design founded in 2010 in Camden Town, London, by Anneke Short and Jerome Robert. White Studios are a Norwegian design studio that have a great range of work, striking the balance between refined and minimalist that only the Scandis get just right. Take a look at small selection below.